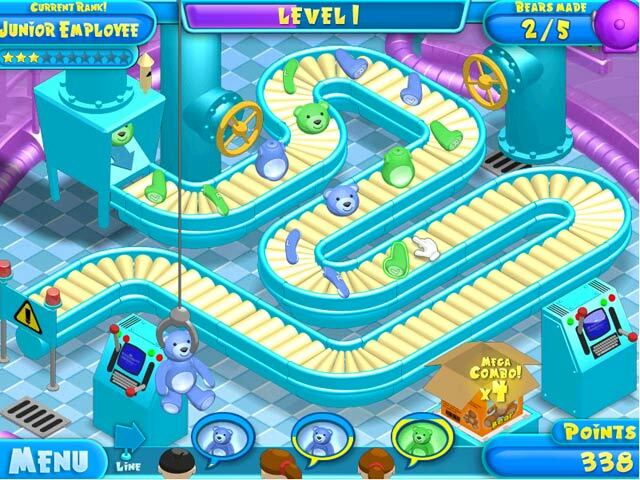 Teddy Factory game download. 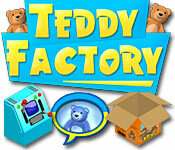 Free download Teddy Factory for Mac. 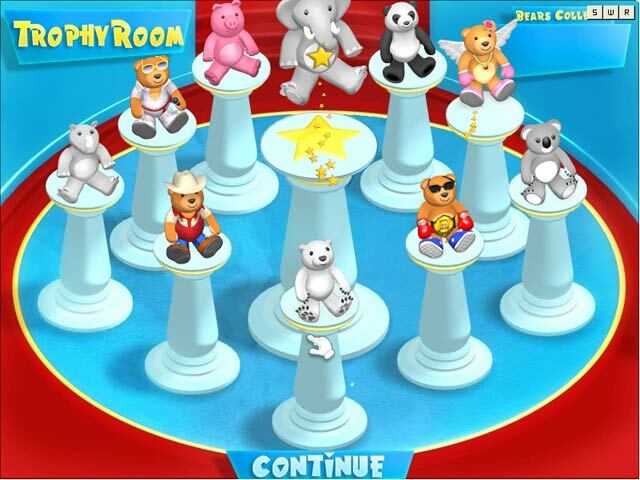 Try your skills at bear building in Teddy Factory! In this cut throat toy industry, it's a wild mix of matching and precision aiming, with the drive of constant orders and demanding customers! Create and assemble various stuffed animals through 45 twisting levels. Collect unique toys along the way to proudly display in your trophy room. 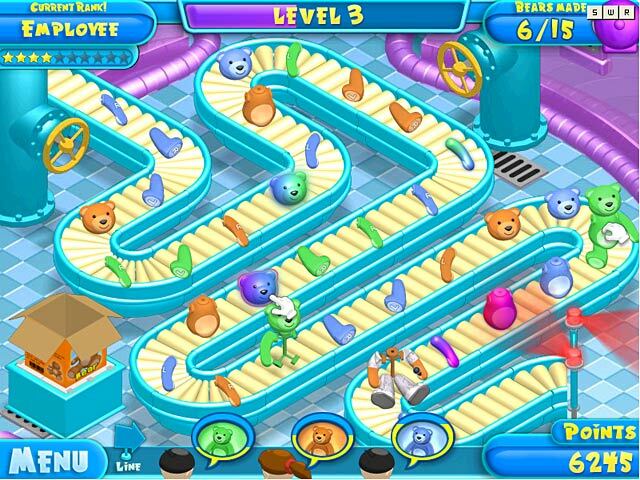 Can you rise to the top of the local Teddy Factory and get that big promotion? Can you move on to bigger and better toys and factories? Try it today to find out! Create And Assemble Various Stuffed Animals! Collect Unique Prizes In Your Trophy Room!